Royalty has been making the news recently as new generations marry and produce heirs. Photos held by the Smithsonian Institution Archives record visits of crowned heads of the past century - many peering gamely into the Smithsonian's exhibit cases as they tour the museums. Please enjoy the slideshow below! 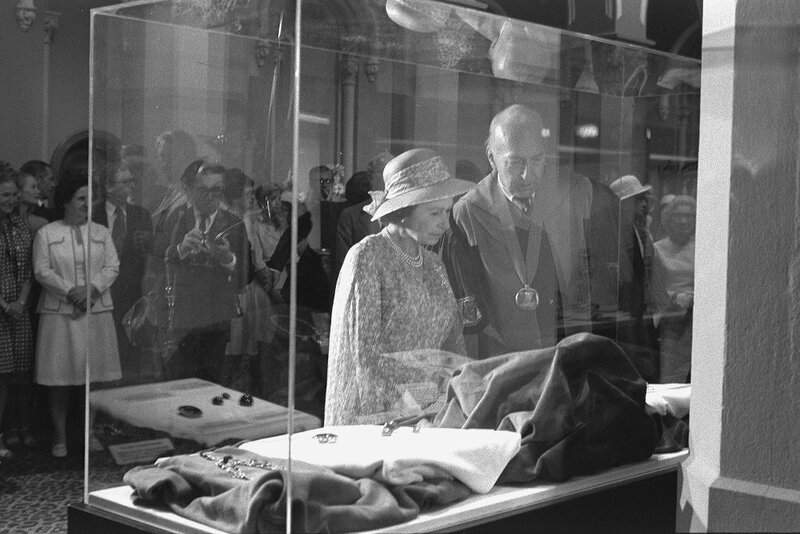 Queen Elizabeth II of Great Britain and Smithsonian Secretary S. Dillon Ripley viewing the Hope Diamond, by James Wallace. The Queen visited the United States to commemorate the Bicentennial of the American Revolution in July 1976. Record Unit 371, Box 2, Folder: August 1976, Smithsonian Institution Archives, Neg. no. 76-8514-25A. 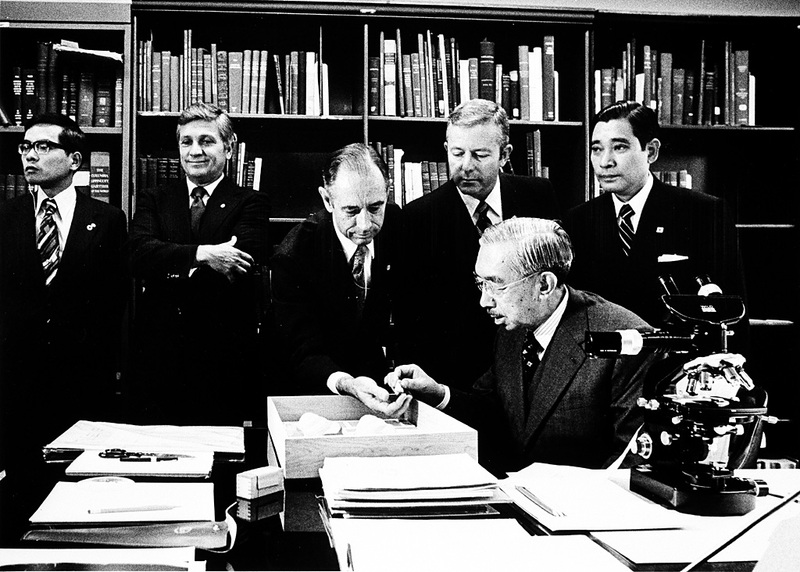 Emperor Hirohito of Japan, an enthusiastic marine biologist, studied specimens at the National Museum of Natural History, by Vincent P. Connolly, October 2, 1975. Record Unit 371, Box 2, Folder: November 1975, Smithsonian Institution Archives, Neg. no. 96-922. 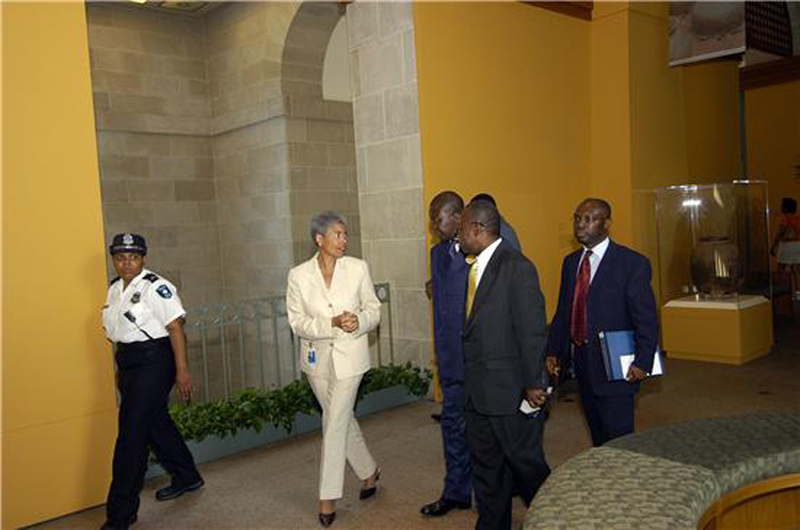 Asantehene Osei Tutu II, ruler of the Ashanti people in Ghana, visited the National Museum of African Art, accompanied by director Sharon Patton in June 1994, by Jeff Tinsley. Accession 11-009, Smithsonian Institution Archives, neg. no. 2004-44407. 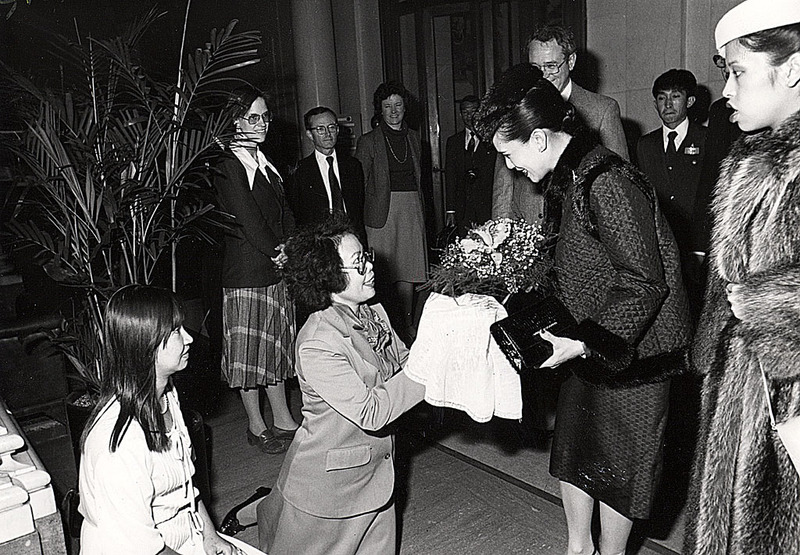 On a royal visit to the United States, Queen Sirikit of Thailand was presented with a bouquet by Phuangthong Malikul on behalf of four Thai Smithsonian employees, by Vichai Malikul, November 1981. Record Unit 371, Box 3, Folder: The Torch, 1955-1960, 1965-1988, Smithsonian Instituion Archives, neg. no. SIA2011-0730. 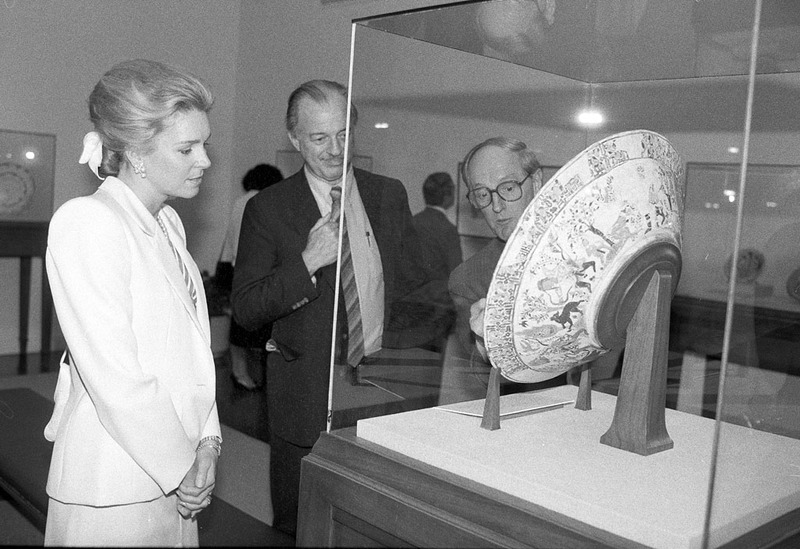 Queen Noor of Jordan visited the Freer Gallery of Art on May 1, 1985. The Queen was born Lisa Halaby in Washington, DC. Halaby and King Hussein married in June 1978. She became known as Noor Al-Hussein, which means "Light of Hussein." Accession 88-086, Box 33, Smithsonian Institution Archives, neg. no. 85-7923-24. 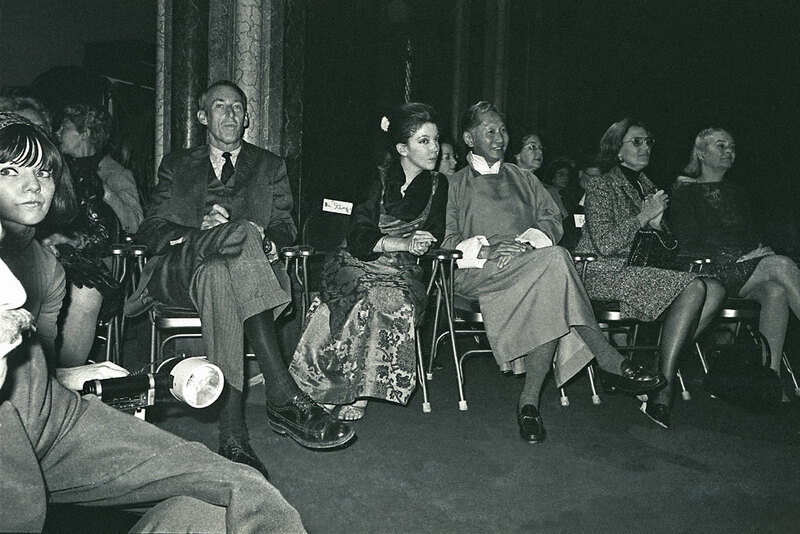 King Palden and Queen Hope of Sikkim attended a Sikkimese fashion show in the Great Hall of the Castle or Smithsonian Institution Building in 1971. Hope Cooke, an Asian Studies major at Sarah Lawrence College, married Palden Thondup Namgyal, then Crown Prince of Sikkim, in 1963. Record Unit 9559, Box 1, Oral History Interviews of David Challinor, Smithsonian Institution Archives, neg. no. 71-2731.3.